South-Coast folk-punks McDERMOTT’s 2 HOURS are to release their final album next month. The band were formed in Brighton in 1986 out of the ashes of two other bands, The Bliffs and The Crack, who’d cut their teeth on the German pub scene. 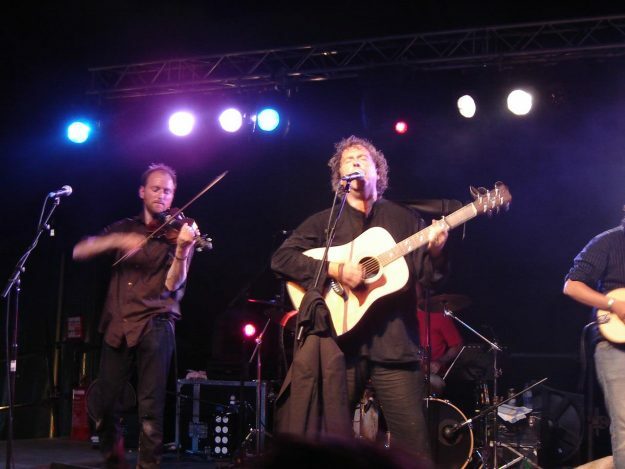 Fronted by singer-songwriter Nick Burbridge, they would earn a reputation for incendiary live shows, becoming a major influence on THE LEVELLERS and other likeminded souls. Besieged, which is set for release on 8 February, sees Burbridge and co collaborating with Jeremy and Simon from The Levs, plus members of renowned folk-rockers OYSTERBAND. Released through The Levellers’ On The Fiddle label, Besieged is available to pre-order as a 2-CD set, featuring a ‘best of’ compilation. Pre-ordered copies will also be signed by Burbridge. Also available through all major digital platforms, pre-orders from iTunes will receive an instant FREE download, plus two other tracks ahead of release.